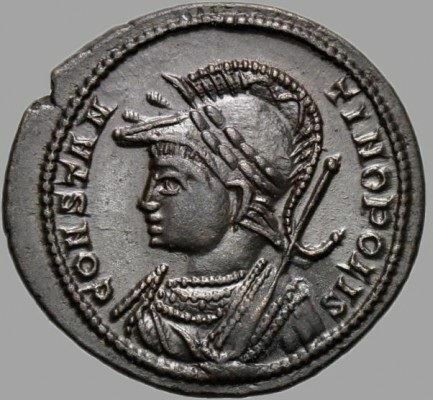 City commemoratives are small bronze coins stucj by Constantine I 'the Great' and his sons to the effect of commemorating the old capital, Rome, and the new capital, Constantinople, and to symbolize the equality of the two cities and the new importance of Constantinople to the empire. Most common types are the CONSTANTINOPOLIS with a Victory on Prow reverse, and the VRBS ROMA with a Wolf & Twin reverse. (1) City Commemorative 330-333 A.D.
(2) City Commemorative 306-337 A.D.